Pierre Baillargeon has over twenty five years of experience in the design and delivery of landmark developments world-wide. As an industry leader in architecture, city regeneration and real estate, he has a long established reputation for innovation and delivering excellence in terms of design and value for commercial, institutional, and government clients. In 2006, Pierre established Mixity in London with Rawia Moudarres, to build a network of studio based design expertise which promotes the belief that true innovation and excellence grows through understanding and learning from the global experience, sustainability and working in collaboration. Born in Montreal, Canada, Pierre studied at Cornell University's College of Architecture Art and Planning, and began his professional career working for WZMH in Dallas, Texas. After five further years in the USA working with HOK architects, Pierre then arrived in the UK and was a founding principal of the HOK Europe + Middle East headquarters in London, which rapidly became one of the largest and most successful of the HOK offices. As a practice leader and senior Vice President in London, Pierre was responsible for directing the design of all HOK commercial based projects, including hotels, shopping centres, urban regeneration, residential, office and mixed-use projects. 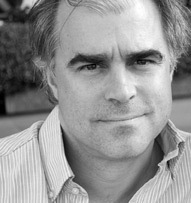 Pierre dedicated twenty years to growing the international success of HOK, at the time the world's largest USA based architecture practice. Working with the Mixity design team and local partners, Pierre continues to collaborate with clients internationally and is active in all building sectors, providing design and market leadership in real estate strategy, and delivering creativity and expertise in project planning, architecture and design.